Service to the client is paramount. 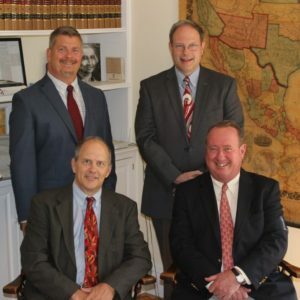 Located in Brattleboro, Vermont, our law firm offers a full range of services to national, regional, and local corporate clients as well as individuals. Our firm includes five attorneys concentrating in Civil Litigation, Commercial Transactions, Real Estate, Estate Planning & Probate Administration, Mediation, Creditor’s Rights, and Business Law. Our lawyers and staff take time to understand our clients’ needs and review options available throughout the course of litigation or the negotiation and completion of a business transaction. This allows our lawyers to put more than words behind the PDSC firm philosophy that service to the client is paramount. Each client has different needs and goals, and PDSC is committed to providing legal services tailored to meet the needs of each client, in a successful and cost-effective manner.